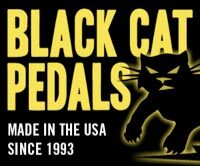 Due to popular demand, we've added a couple more sizes to our selection of Black Cat Pedals t-shirts - Small and XXL. Yes, believe it or not we have had several requests for the XXL size... in BOTH colors! 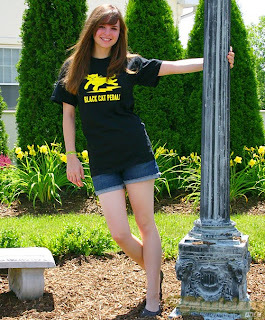 And not surprisingly, we've had some requests for Small size shirts as well, one of which came from our Black Cat Pedals spokesmodel Sara, who told us that she never wears her Medium Black Cat t-shirt because it's too big for her. 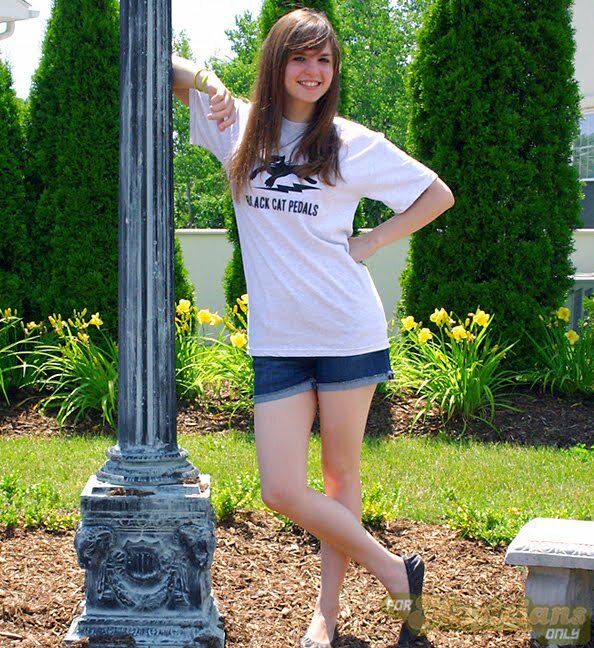 Here you can see her modeling the new Small size shirts. We now have Black Cat t-shirts in both colors and all five sizes available at the FMO Gear Shop.